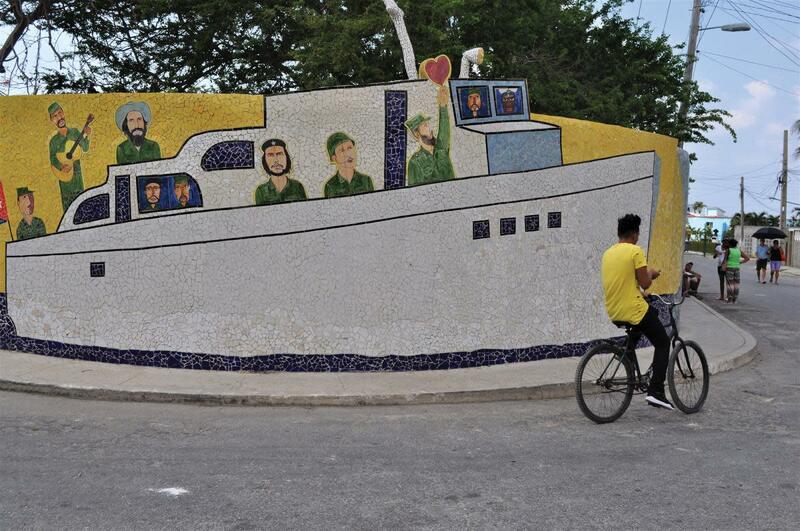 A Havana mural commemorating Granma’s crossing pays homage to the epic voyage. 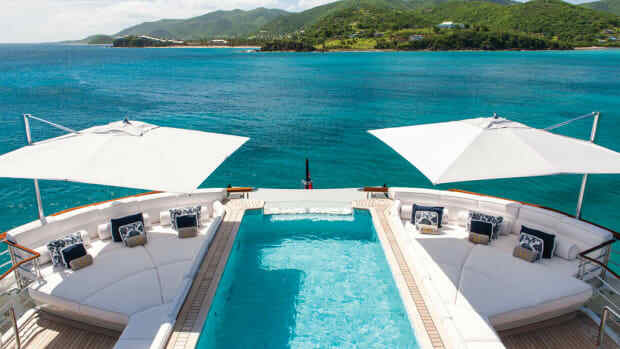 Del Conde has already begun Granma’s refit when Castro discovers the boat and effectively takes possession. Castro is determined to jump-start an insurrection in Cuba before the end of 1956, and he is running out of time and transport options. Now instead of months or years to work on the project, Del Conde has only weeks to get the boat in shape. The two biggest items on the yard list are going to be replacing the keel, which was broken in the storm, and both engines, which have been under water. (The keel to which he refers may actually have been a so-called “false keel,” a timber that attaches to the underside of the keel on larger wooden boats.) In either event, Del Conde is determined it be made from a single hunk of wood, and sends his carpenter looking for a suitable tree. There are planks to be re-fastened, recaulked or replaced altogether. Del Conde is also worried about wood-eating toredo worms, the scourge of wooden vessels in tropical waters, so he purchases sheets of copper to tack onto the hull. Castro assigns Jesus “Chuchu” Reyes to work with Del Conde as co-project manager. Chuchu can best be described as a henchman. Chuchu often acts as Castro’s bodyguard and driver, but in the context of Granma, his mechanical skills prescribe a new role. He effectively becomes the ship’s engineer. A close reading of Del Conde’s book suggests that Del Conde and Chuchu don’t care much for one another. Nevertheless they cooperate, all the while competing for the Comandante’s approval. The saloon floors are removed to allow the extraction of twin Gray Marine GM diesel engines, precursors to the now legendary Detroit Diesel, which are trucked to the GM factory in Mexico City for a complete rebuild, except the transmissions. Turnaround takes about a month. Granma also gets a new generator, lights, and wiring. Granma must carry enough fuel to cover more than 1,200 nautical miles and arrive with a small surplus. After initial fuel burn and speed calculations, Del Conde replaces the fuel tanks with new ones, designed to fill as much unused space below decks as possible and fabricated at his own armory. “I didn’t sleep in my bed again until the work on Granma was finished. The work schedule was really intense, leaving only a few details such as paint left to be done once the boat was floating,” he recalls. Sea trials were conducted. At one point Granma is deputized by Mexican authorities to rescue some local fishermen marooned during a storm on a nearby island. As the day for departure nears, Castro forbids Del Conde from joining the expedition. Castro tells Del Conde that he is more useful as his agent in Mexico. By now Batista, the Cuban dictator, has learned about El Cuate’s existence and is offering a $20,000 reward for his true identity. “I was surprised I couldn’t go. She was my boat,” he later tells a TV interviewer. Granma’s voyage to Cuba can be seen two ways: simply a bad idea or a dreadful one. The term “best practices” doesn’t enter the lexicon until the 1990s. Back in the 1950s people use the phrase “common sense.” Castro’s decision-making applies neither. 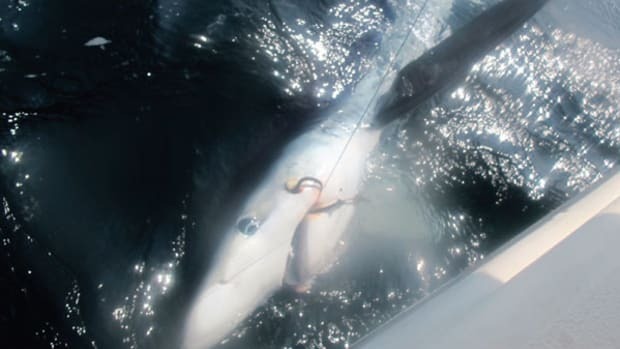 One of the worst mistakes novices can make is to let a man-made schedule dictate the timing of ocean passages. For example, say your rebel planners have calculated that it will take five days at 9 knots to reach a landing zone in Eastern Cuba. The plan is to have your amphibious force arrive on November 30 because that’s the date chosen for an attack against the Cuban military, which is to be coordinated with rebel allies already on the island. Rather than build in a cushion for bad weather or mechanical problems, the departure date is set for November 25—exactly the minimum number of days to get there and get in the fight. 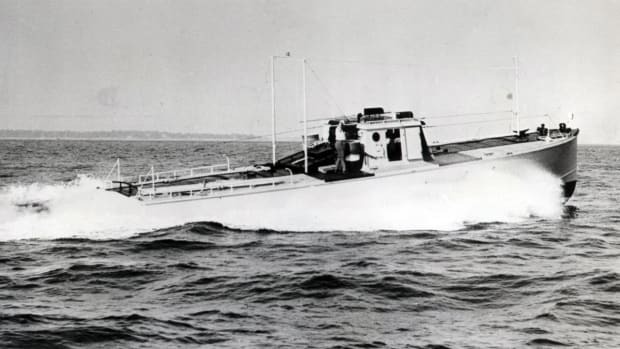 Sea trials are conducted to establish fuel burn statistics, but without dozens of men and gear on board, perhaps 7 or 8 tons lighter than Granma’s load during the voyage. Predictions of actual burn would be no more than guesswork. Common sense dictates that ocean passages be undertaken when a weather window is opening, not diminishing. In Granma’s case neither applies. Bad weather is already upon the western Gulf of Mexico as a frontal system sweeps down from the U.S. These “northers” are predictable; they bring clocking winds that blow most intensely from the North and Northeast and take three to five days to pass through. 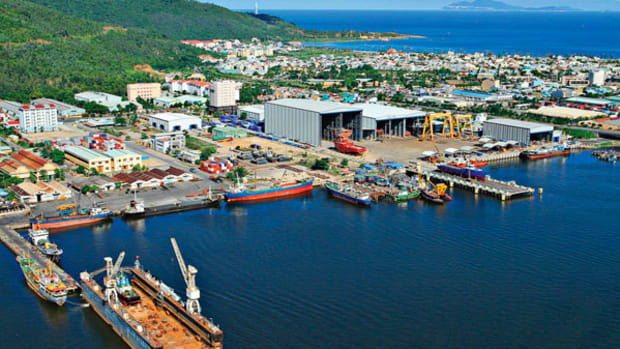 In Tuxpán, port authorities issue orders forbidding any boat to leave the river. Just days before departure, the transmission on the starboard engine acts up. Transmission specialists are rushed to the boat and work on the failing clutch mechanism right up to the time of departure. 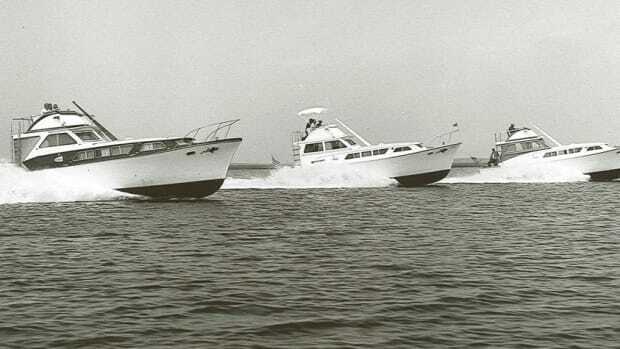 There is no time for another sea trial. Craziest of all: The boat is too small for the mission. 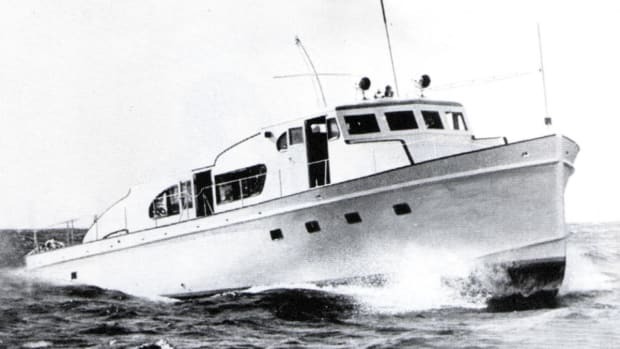 In his book, Del Conde suggests that Castro is so determined to fight that he suspends disbelief and imagines the 58-footer to be a much bigger craft. He has 140 trained fighters hidden in villages throughout the Mexican countryside. At last recognizing that he cannot fit them all in Granma, Castro settles on 81 men besides himself, still too many. The rest he leaves behind. So forget best practices. The voyage of Granma is essentially a romantic, amateur undertaking. The reality is devoid of romance, however. Eighty-two men squeeze together on a boat designed for 12, pounding into seas for days, soaking in each other’s vomit, unable to defecate, and waiting for warplanes to strafe them at any moment. Castro appoints Norberto Collado, one of only a handful of real mariners in his band, to serve as one of two timonels, or helmsmen. 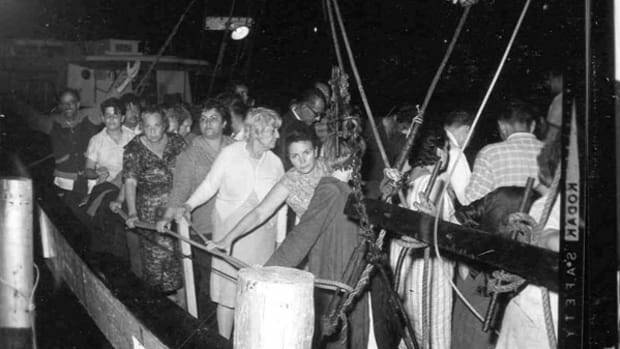 Collado arrives at Granma as she sits along the riverbank being loaded via gangplank. He is bemused at the big crowd of fellow Cubans milling about. 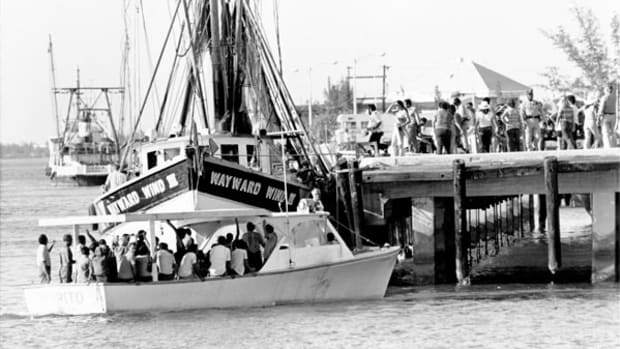 “I had thought that many of these men were here to transport equipment, and that at most we would travel with about 30 people, because the yacht had berths for ten, but it was not like that,” he says.